As you pull into the reserve, an impressive sight awaits – grand architecture and swaying palm trees create quite the contrast against the dull background! 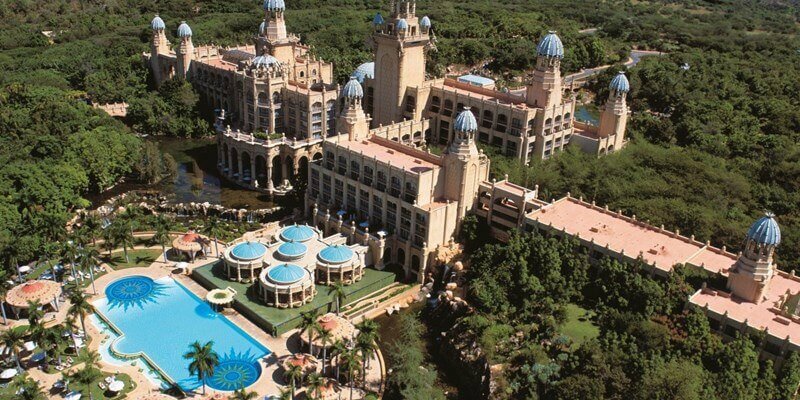 You have reached Sun City, an African oasis. 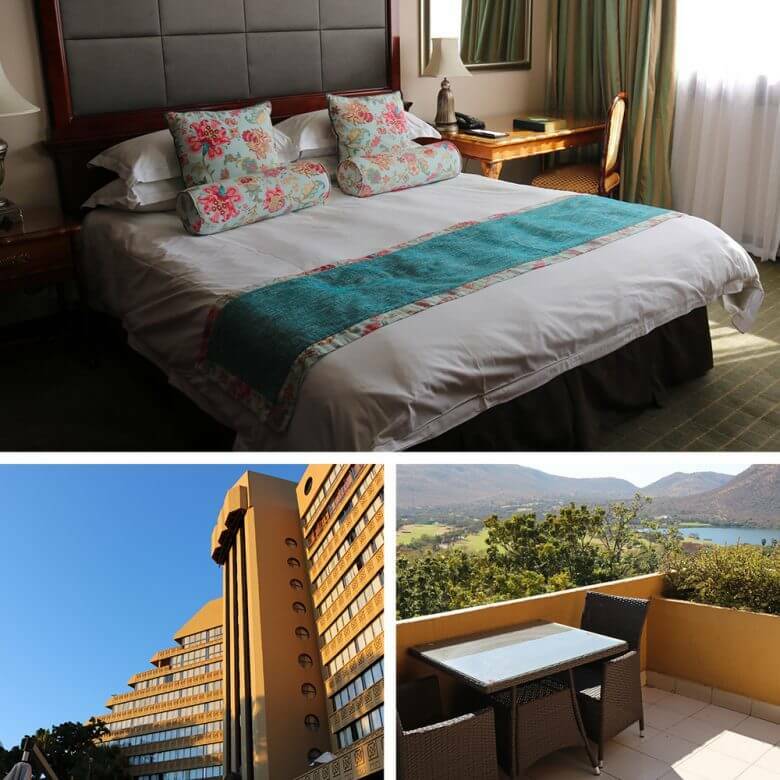 Sun City is situated between the Elands River and Pilanesberg, about a two hour drive from Johannesburg. 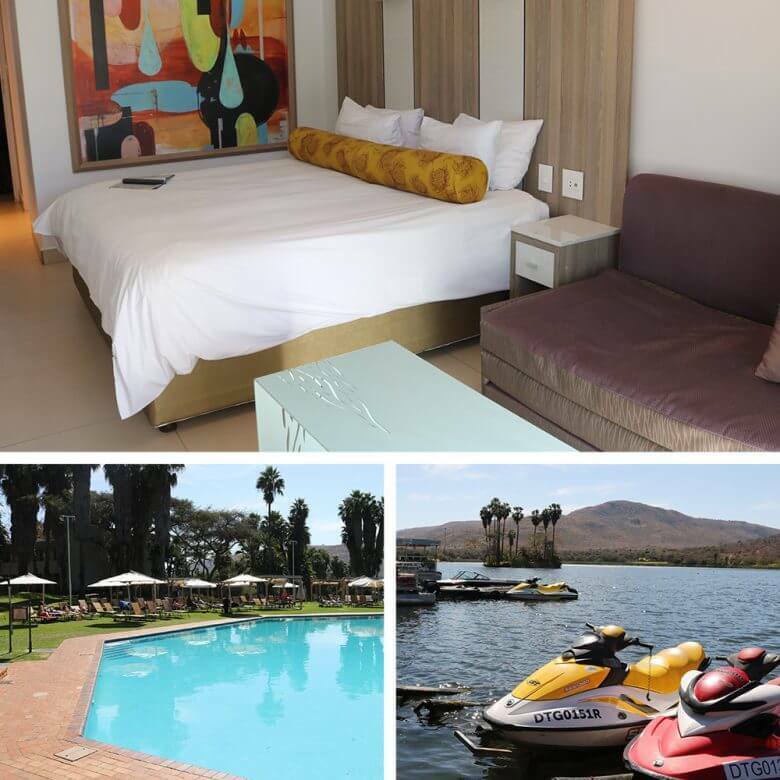 It is the ideal spot for luxurious weekend away or maybe a fun family break. There is plenty to do both day and night. You can also view the Big 5 in the Pilanesberg National Park, enjoy a hot air balloon ride, play a round of golf or just laze by one of the amazing pools. The Cabanas are situated next to the Waterworld Lake and has recently undergone renovations. It now incorporates modern finishes and pops of colour which offers a pleasant change from the African theme running throughout the resort. Visitors have a choice between a twin or family room. The family room is suited for families with kids under 12 while the twin rooms are a bit better for families with teenage kids. In the mornings, guests can enjoy a delicious English breakfast at the Palm Terrace restaurant. Pick the Soho Hotel if you want to be close to the action! This was the first hotel on the resort and offers immediate access to the casino and the other resort entertainment. The hotel itself offers a choice of 340 rooms, including presidential suites to luxury twin and family rooms. Wake up to beautiful pool or lake views and enjoy a daily buffet breakfast. After a fun-filled day, sit down for a lovely dinner at one of the hotel’s restaurants or head for the casino and try your luck. Other activities include dance club’s, cocktail bars and live music. There is never a dull moment at the Soho Hotel! The name Cascades actually originates from the waterfalls around the hotel, offering a lush tropical paradise and tranquility amongst the business of the resort. You will regularly encounter monkeys and birds which can cause for much excitement on your afternoon walk! The 5 star hotel offers 241 luxury rooms overlooking the lovely gardens and beach pool area. Enjoy around the clock room service, drinks on the terrace and other special touches throughout your stay. Be sure to make use of the hotel concierge service to assist with daily activities or any day trip bookings that you might require. 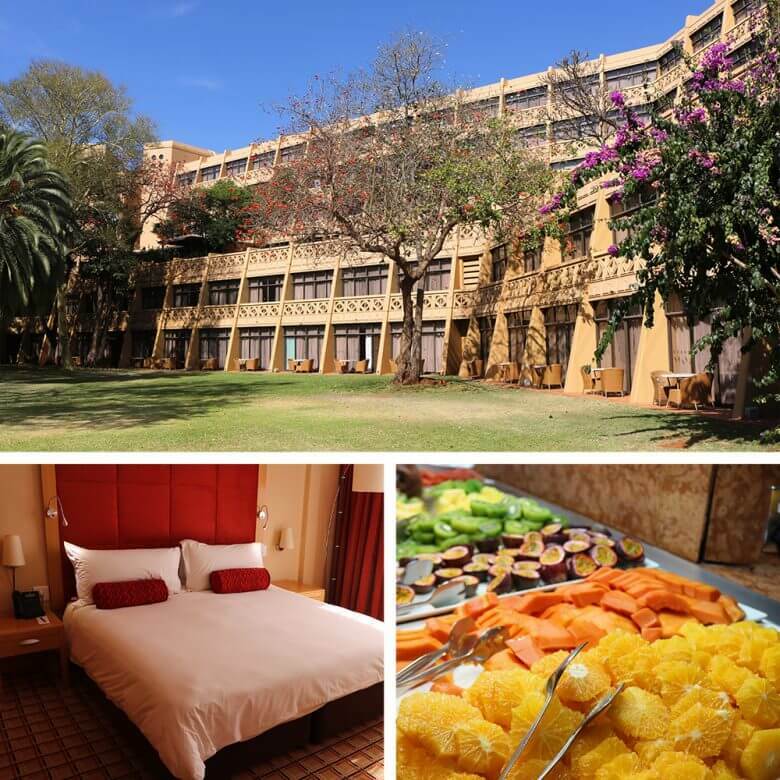 The world class Palace is one of Africa’s most sought after five star hotels and is a symbol of African luxury, transporting you to an African Kingdom from years gone by. The hotel has 335 suites and rooms with breathtaking views of the jungle and water as well as the luxury pool hidden by swaying palm trees. Visitors can enjoy the finest cuisine at some of the best restaurants. When you stay at The Palace, the Valley of the Waves is at your doorstep and can be reached by taking the lovely walkways through the resort’s jungle. 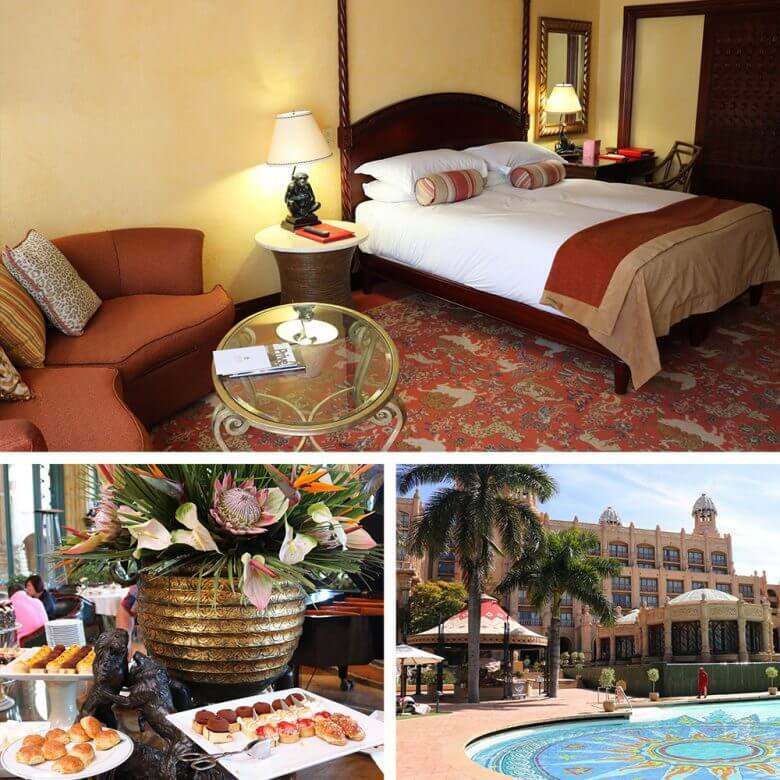 You can never go wrong with choosing Sun City for either a family holiday or a romantic getaway. Amazing accommodation, activities abound, delicious food, sunset safaris, drinks with breathtaking views, African wildlife, sun and laughter – what more do you want. Compare a few airlines and book your cheap flights to Sun City right now! ClickClickGo is your one-stop online travel shop. We bring you the best deals on flights, accommodation and car rental – all in one place. No queues or spending hours hunting down deals. We save you time, money and stress! With our super-fast booking engines you can mix and match bookings to suit your travel needs. It’s safe and super simple – you just click, click and GO! Fly, Stay & Drive with us! Hi, I'm Tania! A Cape Town girl that loves rugby, travel, fresh air, roadtrips, coffee and the ocean. Life is an adventure and I plan to live it! Take that flight and go somewhere you've never been. 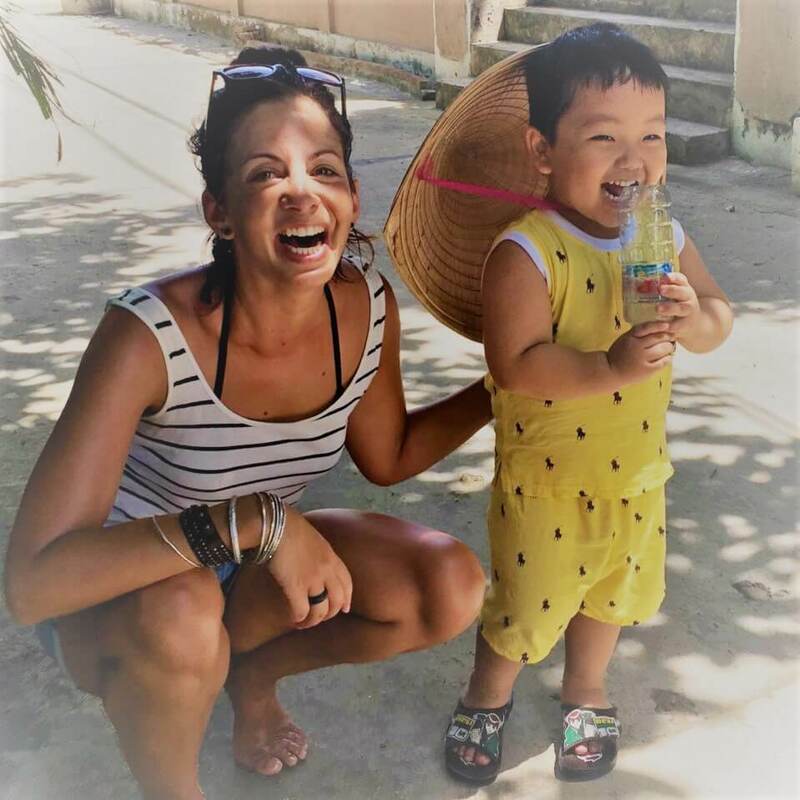 Thank you for reading my blog!